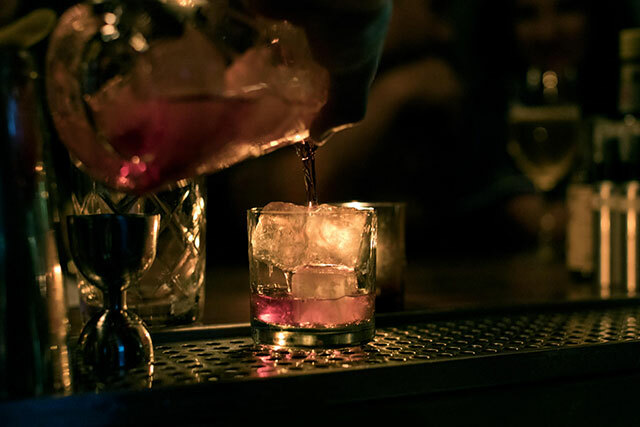 At L.A.'s Gold Line Bar, it's all about the booze and the music. If you’re a music aficionado who also happens to enjoy knocking one back with your fellow man, a city like Tokyo offers an embarrassment of riches. Among the hidden gems you’ll find anywhere from basement arcades to the top floors of office buildings is the kind of place where only the truest of music fans goes for a drink. 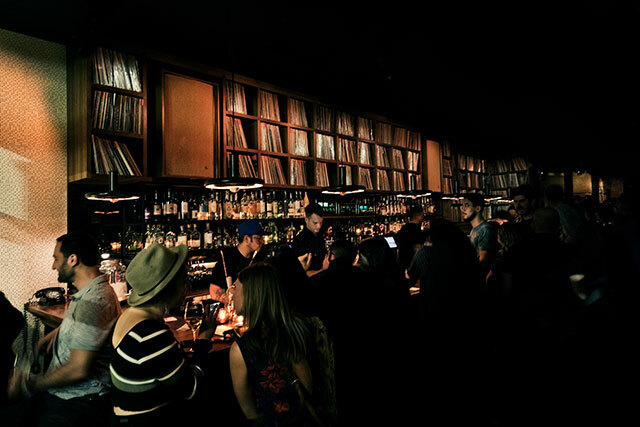 It goes by a few different names, often called simply a record bar, and it’s exactly what that name implies. A musical spin on Tokyo’s neon-drenched nightlife, where patrons can squeeze up to a seat in front of the bartender who also doubles as a kind of DJ, literally dropping the needle on records in between pouring brews. The spaces are generally small. 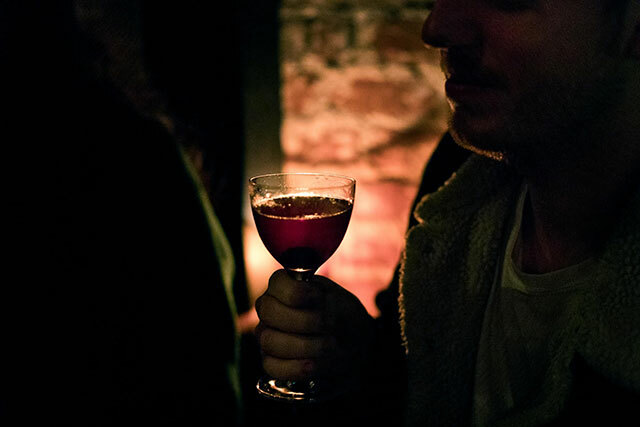 You come to drink, to socialize, but also to collectively listen. These bars offer the city of 38 million people everything from acid jazz to house music as an accompaniment to the sake, highballs and all the rest – and, in what is surely a reminder to a certain kind of music fan that there are still good things left in this world, these bars are thankfully starting to show up stateside, too. 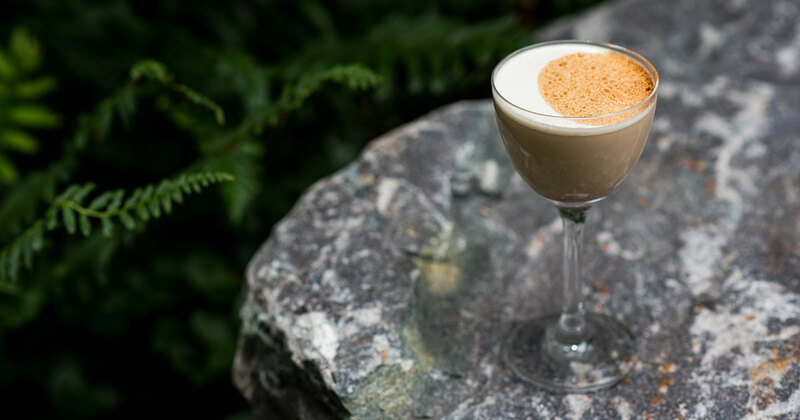 Exhibit A: When a group of owners in Los Angeles a few months ago got ready to expand the 15-year-old Stones Throw record label in Los Angeles’ Highland Park neighborhood – the growing enclave a few miles north of Downtown – they decided to do it by opening a bar. Specifically, by bringing their own take on the record bar concept they’d encountered in Japan all the way to the City of Angels. And thus was born Gold Line Bar. Granted, it’s in the same building as the record label’s office – the bar is actually downstairs (a stones throw) – but the proximity is kind of the point. The bar is an extension of the label. Inside Gold Line, there’s a vintage jukebox, while behind the bar you can’t miss the sight of several thousand records from label owner Peanut Butter Wolf’s personal stash packed into the walnut shelving. The kind of shelves you’d expect to see in the room of one of those serious collectors who’s a borderline snob about, you know, how much better vinyl sounds. 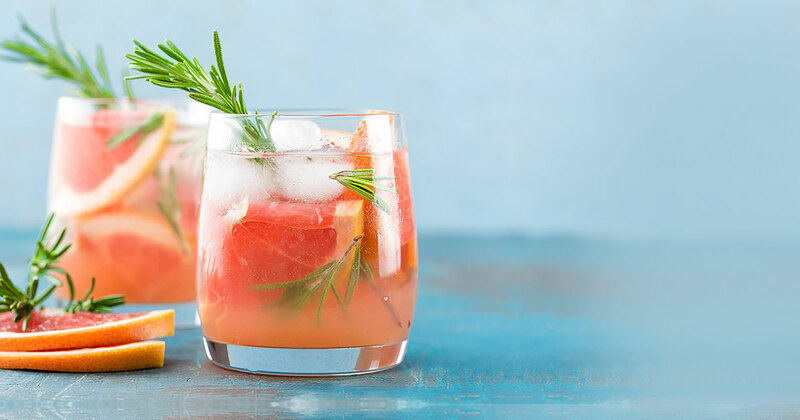 In addition to mixing the drinks, meanwhile, the bartenders curate the tunes, giving the place an exclusive feel – almost like you’ve been allowed behind the velvet rope at some kind of listening party, where the drinks don’t stop and the good times never end. “I was a musician,” partner Tyler Bell said about the concept. “What else was I going to do? It’s certainly a creative way to extend the label, which was founded in 1996 and is regarded as something of an iconic institution in the city. The label has put out everything from hip-hop to electronic music in its day, and high-profile artists like Kanye West and Questlove appear in 2014 documentary, “Our Vinyl Weighs a Ton,” about the label’s evolution. 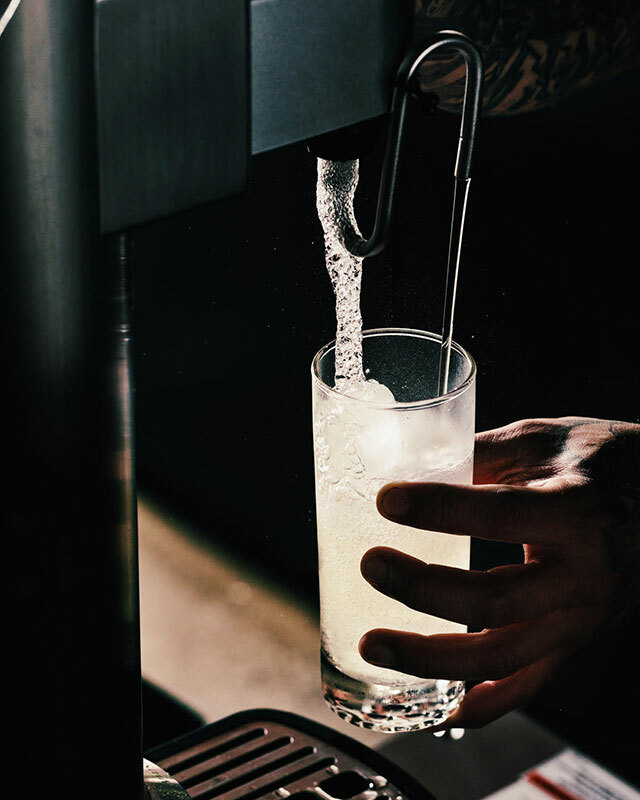 Gold Line’s drinks include highballs and three-ingredient cocktails, in addition to whiskey and wine. It’s one of the newest additions to a neighborhood that includes a collection of other colorful bars, bistros and cafes like Cafe Birdie and ETA. There’s a hip, underground vibe to the record bar, though, which is one thing that sets it apart from the typical watering hole. It’s also worth noting that LA is starting to attract more of them, like In Sheep’s Clothing. That’s another still relatively new record bar in Downtown LA’s Arts District that’s attached to a Brooklyn-inspired pizzeria. The team at Gold Line, meanwhile, designed their space especially with vinyl-loving audiophiles in mind. When you show up for a drink, you’ll also soak up the sound emanating from Vintage Altec Lansing Valencia speakers and McIntosh amps. At the end of the bar is the main DJ setup. There’s also a cozy lounge section, and the hallway leading to the bathrooms is covered with 100 or so 8×10’s that depict a variety of musicians. Music nerds are an especially fascinating kind of tribe, as a place like Gold Line attests. Life goes on, the whole word changes around them, and it seems the vinyl aficionados among us will still find a way to carve out for themselves a place like this – an off-the-beaten-path hideaway where they just want somebody to pour them a drink, damn it, and put a record on the turntable. The less mainstream, the better. These music super-fans, we should add, are also pretty easy to spot in the crowd. Look for who doesn’t have their phone out, who’s not trying to capture a moment for the ‘Gram later. They’re just … there, and happy to be.